Making regular visits to your dentist is one of the best ways to preserve the health of your teeth and to prevent future, more extensive dental procedures from being necessary. The thought of going to the dentist creates a great deal of anxiety in some patients, and some people are so fearful of going to a dentist that they simply never go, causing their dental problems to only get worse. That’s where your Austin Sedation Dentist comes in. Click here to learn more about Sedation Options. Everyone Has a Different experience. Now there is an area of cosmetic dentistry that has made going to the dentist a bearable, if not pleasant experience, for the millions of people who have avoided the dentist for years. Sedation dentistry just may be the answer you have been looking for to alleviate the fear and anxiety you experience just thinking about sitting in your Austin dentist’ chair. 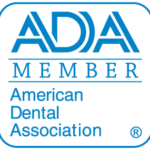 Sedation dentistry is the perfect top solution for most Austin patients who suffer from dental anxiety. Best Austin sedation dentistry options can make your next dental visit more relaxing, more comfortable and anxiety-free. Who Could Benefit from Austin TX Sedation Dentistry? Patients suffering from other physical disabilities. Dr. Patel may give you nitrous oxide, also known as laughing gas, which relaxes you without impairing your consciousness of what’s going on around you. The Austin sedation dentist may also use a one of the many medications available to sedate you. With these medications, you will be extremely relaxed, but you will be awake and aware of what is going on around you. Sedation dentistry does not put the patient to sleep. Some the most commonly used drugs to sedate dental patients are triazolam, diazepam (Valium), lorazepam (Ativan) zaleplon (Sonata) and hydroxyzine (Vistaril). All of these medications are safe and effective. Since all of these drugs work in different ways and last for different amounts of time, the sedation dentist, Dr. Patel will discuss the differences with you and decide which drug is most appropriate for the dental work you are having done. Some of these medications make you drowsy enough that you may drift off during your procedure. Sometimes the sedative/analgesic is given in pill form and sometimes it is administered intravenously. For obvious reasons, being sedated before a dental procedure requires that you have someone with you to drive home. Sedation dentistry is not for everyone, but for those who have been avoiding getting their teeth fixed due to fear of the dentist, Austin sedation dentistry is the solution they’ve been looking for. Please contact Austin Cosmetic today to schedule your complimentary consultation with Dr. Tejas Patel, serving patients in the Austin, Texas and surrounding areas at affordable cost. We pride ourselves on offering best-in-class treatments and services with affordable pricing. We’ve also partnered with Green Sky Financial to provide our patients a no-interest way to pay for their dental services over time. Ask our office for more details or use the link below to apply now.